This green Nature Mates Classic Cottage Bird Feeder blends well into your backyard and offers character to your bird feeding area. 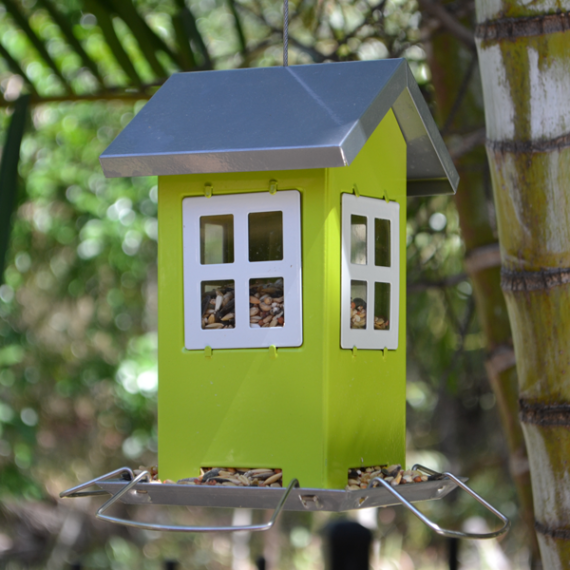 The house-shaped feeder provides foldable feeding perches on each side for simultaneous feeding for your small to medium sized garden bird species. 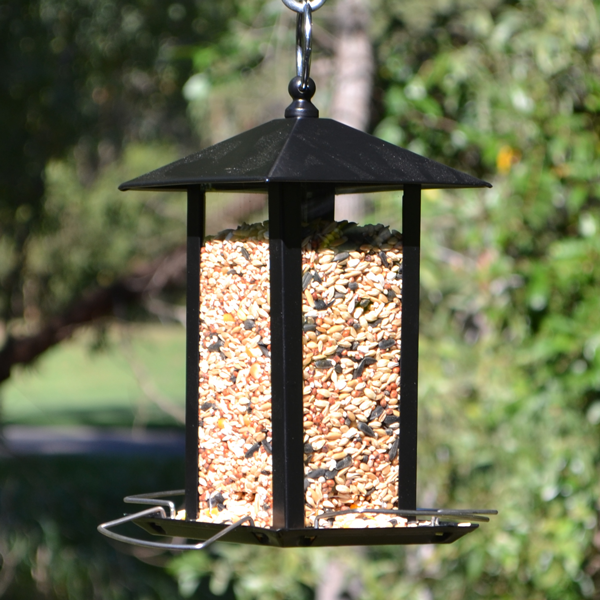 The feeder is fitted with a coated wire for easy hanging either directly on to branches or with rope or wire. 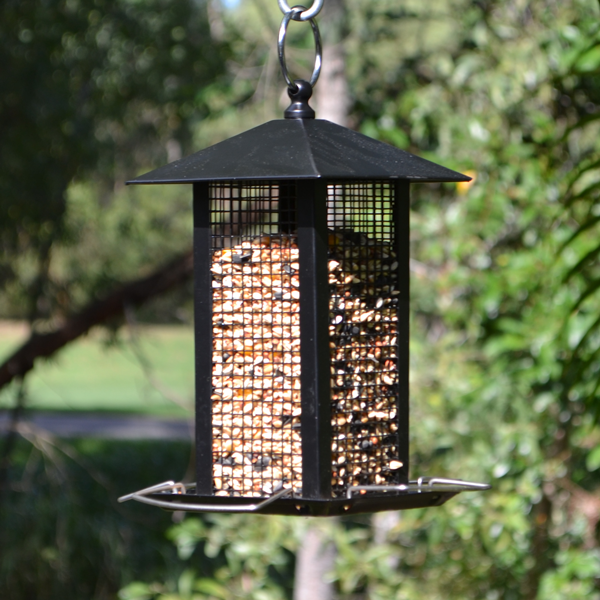 It’s extremely easy to fill and clean, just lift the metal lid to the side and refill with whichever wild bird seed or nuts you’ve chosen. 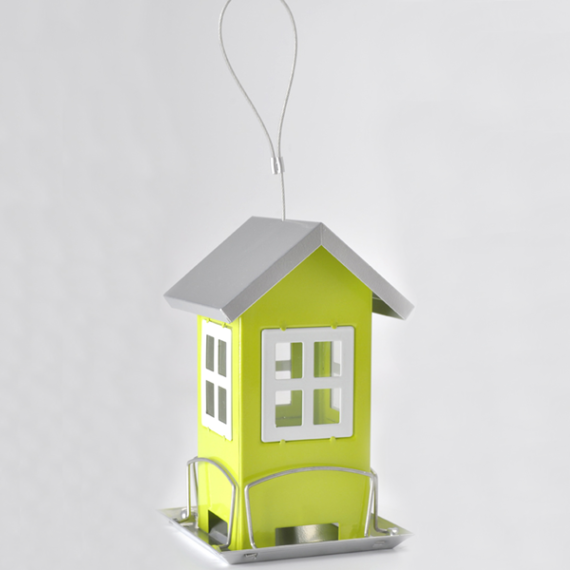 Made from eco-friendly, coated iron sheet. The size of the bird feeder is 9 x 9 x 19cm. 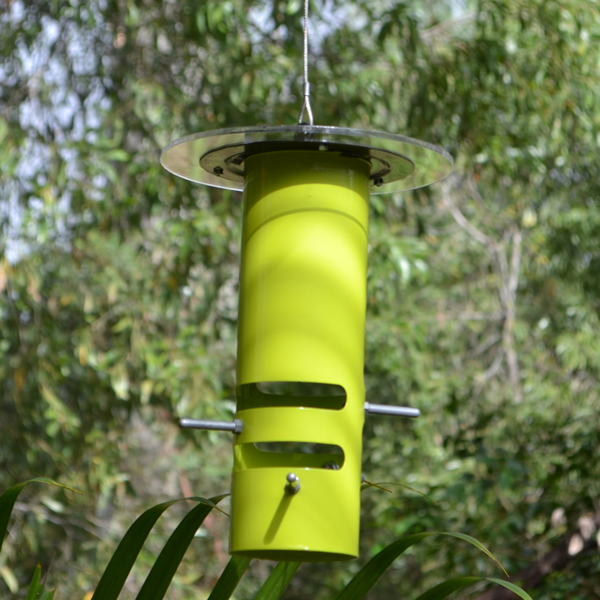 Nature Mates – an Australian company. 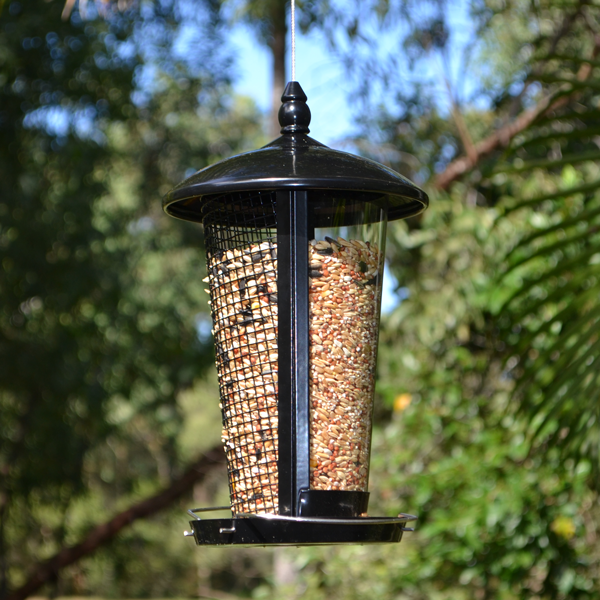 Awesome bird feeder. Loved both the way it worked and it’s cute exterior!